Last week I shared my top ten picks for Expo Hall Stage Sessions to attend at canfitpro world fitness expo. If you couldn’t tell, I’m ridiculously excited to be attending the expo and, as such, I’ve been scouring the website almost daily and reading as much of the available info as possible. So today I’ll be continuing the convo on the expo with a quick run down of the presenters. 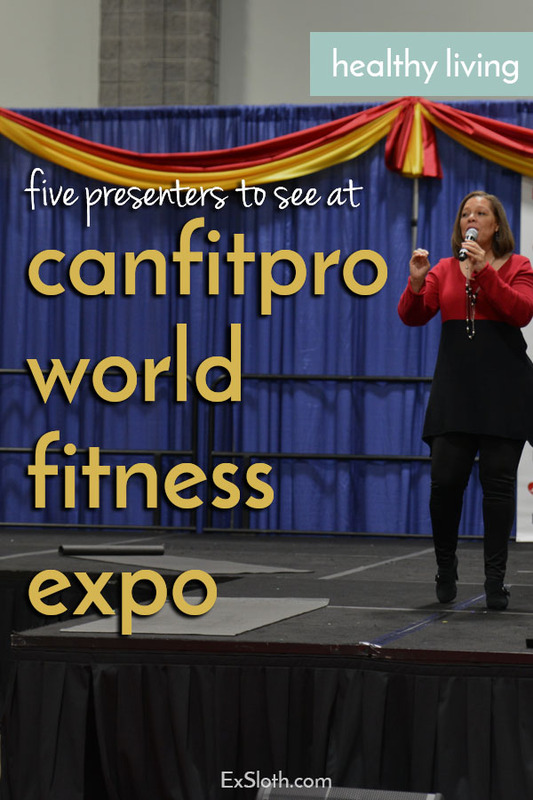 If you took a look at the canfitpro world fitness expo session lineup, you’d know that it’s jam-packed with tons of great educational and fitness/workout sessions. Obviously, with those great sessions come even more awesome presenters. 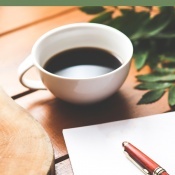 There’s no way I could highlight all of the million and five presenters (slight exaggeration) in this post but, you can find the full list here. For now, I just wanted to share the 5 presenters I’m most interested in hearing from and, hopefully, chatting with. Quick aside: I’ll have an opportunity to interview a couple of the presenters at the expo, so if there’s anyone in particular you want to hear from, check out the list of presenters, and let me know in the comments! We already covered my obsession with Tosca Reno last week, but there’s no way she wasn’t making the list again. Tosca’s health and fitness journey has been a huge inspiration to me, and I know that a lot of others feel the same. 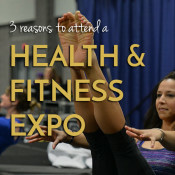 She’ll be hosting 3 sessions at the expo, two on Clean Eating and one workout session. I’ll be attending at least one of the food related sessions for sure but I’m also hoping to squeeze the workout session onto schedule my as well. Gillian Mandich is a promoter of holistic health, which we all know I’m a big fan of. But, what I admire even more about Gillian is how unapologetically herself she is. Plus, I’m super excited to learn more about the topic she’ll be talking on: “Paleo, Low Carb, Vegan, If It Fits Your Macros – Which Diet is Best?”. And, I’m positive that any session she presents will not only be informative but entertaining, which is key on a day filled with session after session. Not only is Mandy Gill a pretty big deal on Radio and TV, but she’s also a Reebok sponsored athlete and is well known for her love of CrossFit and all things fitness related. She’s presenting the Paleo Meal Prepping session and even though I’m not paleo, my meal prep game can use all the help it can get. It doesn’t hurt that Mandy is a meal prepping queen who does meal prep for others as part of her business. Ayanna is the founder of Socacize, which is a workout that focuses on cardio, weight, and strength training while dancing to calypso, soca, chutney, zouk, reggae, salsa, dancehall and on occasion drums. Although Ayanna isn’t so much presenting as instructing a workout, I’m still unbelievably excited about attending (because Soca), and couldn’t NOT include her on this list. I actually didn’t know much about Rita Catolino before I started checking out the presenters, but when I saw that she had trained Tosca Reno for a fitness competition in the past, I knew I had to attend her session. She’ll be hosting a 30 minute cooking demo as well as a Q&A on her newest venture, Your BeautyFuel, which is all about the best fuel pre- and post- workouts. Definitely something to look forward to. 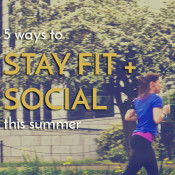 First, congrats to the winner of last week’s giveaway, Bri of Run Lift Yoga. I’ll be emailing you later today with details on how to claim your prize. And, if you didn’t win, don’t worry, because once again, canfitpro is offering one lucky reader a free one-day registration (value of $388 per registration and includes access to the Expo Hall). Details on how to enter are below. Good luck! 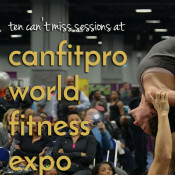 Will you be attending the canfitpro world fitness expo? Which of the presenters are you/would you be most excited to see/meet? Who would you like to hear from in an interview? What questions do you have for them? 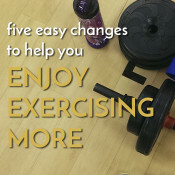 Follow GiselleR | Healthy Living Blogger’s board Fitness Tips on Pinterest. When Tosca Reno friended me on Facebook and started following me all over social media, I about fainted. AND THEN she commented on some of my FB statuses…. Life complete! ha ha! GiGi Eats recently posted…Guess The Food, Taiwan Edition!